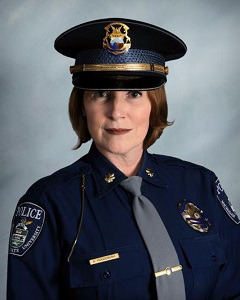 Deputy Chief Kelly Roudebush, a 24-year veteran of the Michigan State University Police Department will make history and become the first woman to be the chief of the department, effective Jan. 1, 2019. Roudebush has previously served in the department as a field training officer, canine handler, threat assessment team commander, and uniform division captain, according to Lansing State Journal. Roudebush earned a bachelor’s in communication arts and sciences from Michigan State University and a master’s of public administration from Western Michigan University. As chief of the police department, Roudebush will manage 120 employees.